When the Brother of Jared took careful stock of what he had, he was embarrassed. He was climbing up the mountain to show God his solution. Sure they had worked hard to create those rocks. It took a ton of effort. 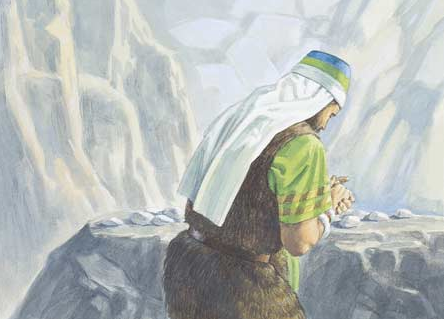 But he was preparing to face the creator of the world with – rocks. As he was ascending to what he was sure to be an uncomfortable conversation, he offered his apology prayer. Then, this humble and sincere man did the unthinkable. In spite of his serious reservations, he proceeded with his plan. 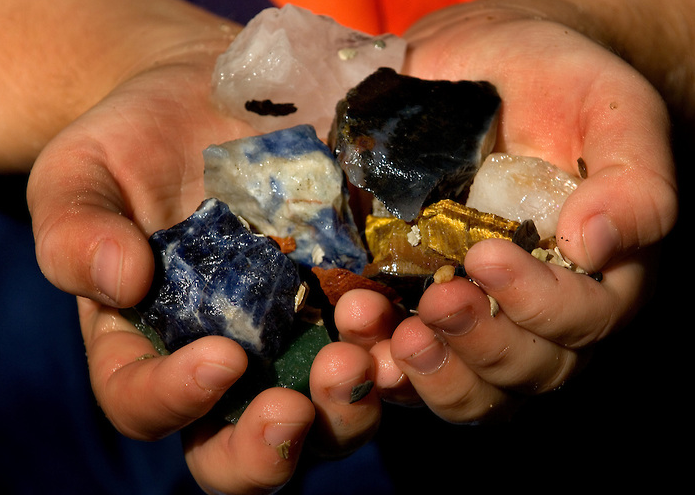 He reluctantly placed his humble load before God and asked Him to touch them. Let’s pause for a minute and look at this from God’s perspective. I am convinced God didn’t care how the Jaredites solved the light problem. If there was only one right answer, surely God would have made that clear. Rather, I’m sure God was happy to accept any solution – rocks, glow in the dark paint, a light bulb. Clearly their solution was far less important than the faith they showed in their effort. Perhaps God is more pleased in our effort and less concerned about our results. To test this theory, let’s continue the story to see what happened next. 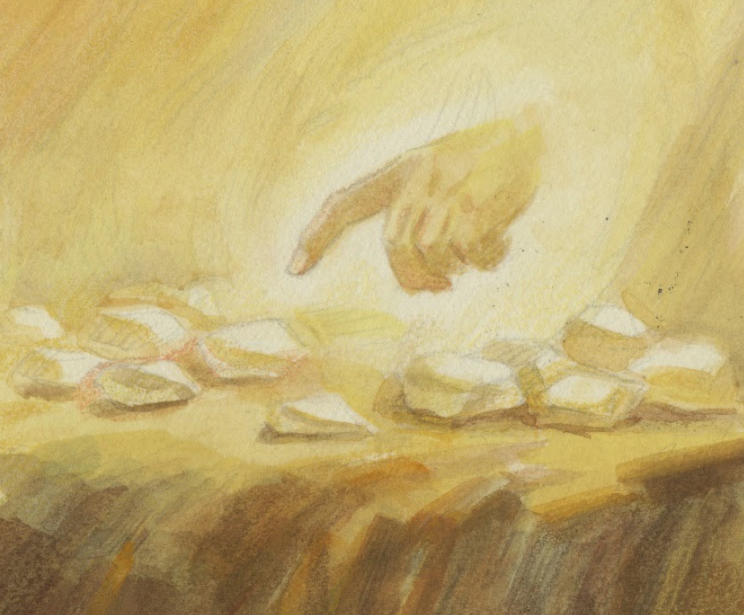 With the 16 rocks before Him, God touched each rock, one by one, with His finger. 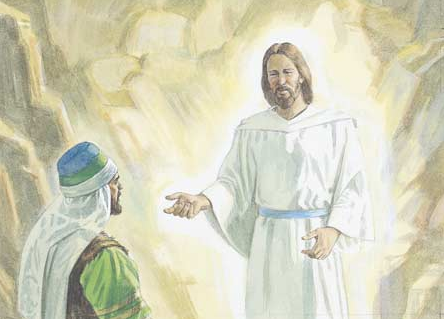 Because the Brother of Jared had demonstrated such great faith in coming to God with a most unlikely solution, God willingly removed the veil exposing His finger to the Brother of Jared. But, was the Brother of Jared ready to accept this gift? Was he prepared to not only look, but to see? Embolden by God accepting his humble offering, the Brother of Jared did see. He saw the finger of God! But in spite of this grand experience, the Brother of Jared was, once again, worried. Did he see something he shouldn’t? God noticed and asked the Brother of Jared what was wrong. He told God he had seen His finger and feared this was wrong. God asked if he saw any more. Then, following his pattern, this humble and sincere man did the unthinkable. He asked God to remove the veil completely. How did the Brother of Jared go from a handful of rocks to one of the grandest visions in the history of all scriptures? I feel the key to this experience was the Brother of Jared’s faith. True, our consistent faith will not likely result in a similar experience, yet we can still glean valuable lessons from this pattern. We need to worry less about doing the perfect thing and, as the Brother of Jared showed us, move forward with faith that despite our personal doubts, our best will be acceptable to God.